Check out how these Nanyang Polytechnic (NYP) students transformed small ideas into big results with their ingenious innovations. A guilt-free sweet treat? Sounds like a recipe for success. Having previously won the ‘Best New Ice Cream Award’ in 2010 and 2011, NYP continued its winning streak with Mangolina, a dessert that comprises three layers – fresh mango puree, skimmed milk pudding and spirulina bits. Created by four students from NYP’s School of Chemical & Life Sciences and packaged by three students from the School of Design, Mangolina clinched the ‘Best Dairy Dessert Award’ at the 2015 World Dairy Innovation Awards Competition, beating industry bigwigs like Unilever Pte Ltd.
Elated about the win, Fiona and her team express gratitude to her lecturers in NYP. “This was not the result of a single person’s idea or effort, but the result of everyone’s creativity. Without the guidance from our lecturers, we may not have come up with such a great product.” The team now hopes to introduce Mangolina into the market and share this healthy dessert with everyone. Have the desire to change the world with your invention? Be innovative and enterprising, choose your own adventure at NYP Open House from 7 to 9 Jan 2016! Published in the Dec 2015 Issue of Teenage Magazine. Reproduced with Permission. Education doesn’t stop at the diploma level. 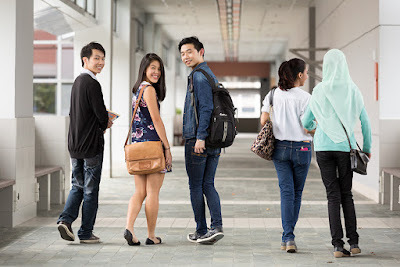 Read about how Kong Ren Hwai, Diploma in Nanotechnology & Materials Science alumnus built a strong foundation at Nanyang Polytechnic (NYP) to further his education. When you get excited and intrigued about the invention of new materials like carbon nano rod and composite materials, Nanotechnology & Materials Science might just be your cup of tea. That was why Ren Hwai decided to pursue Diploma in Nanotechnology & Materials Science. He thought he will enjoy studying it and true enough, he did. 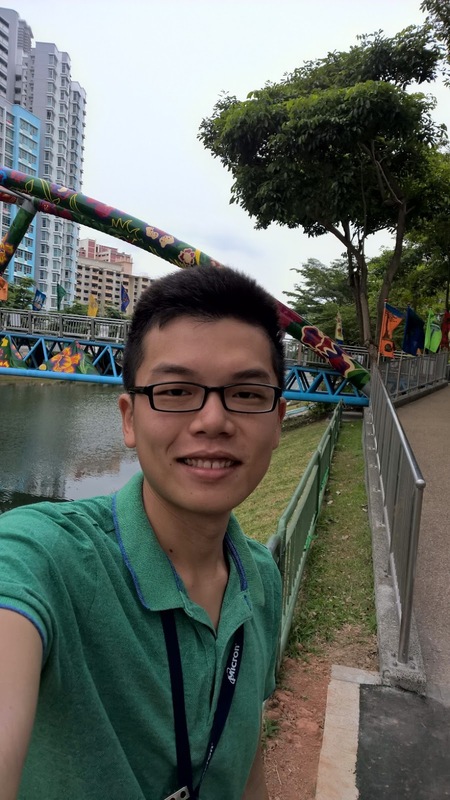 Studying in NYP further fuelled Ren Hwai’s interest and curiosity, as he was continually amazed by semiconductor technology and the ability to build transistors that are smaller than the width of a human hair. More importantly, Ren Hwai picked up essential life skills in NYP that helped him adapt well in the dynamic working world. The opportunities he gained when he was in the NYP’s School of Engineering Club developed his endurance and trained him to venture out of his comfort zone to take on different challenges. 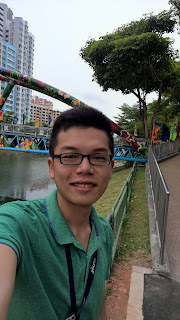 Ren Hwai is now the process engineer at Micron Semiconductor Asia Pte Ltd where he is in-charge of one of the production processes and takes on projects for improving productivity, quality and cost reduction. Inspired by his adventure in pursuit of further studies? Be innovative and enterprising, choose your own adventure at NYP Open House from 7 to 9 Jan 2016! Published in the Nov 2015 Issue of Teenage Magazine. Reproduced with Permission. Growing up with the trauma of being chased by a dog and scratched by a cat, I always frowned upon pet owners. 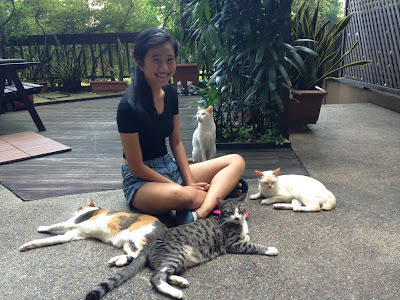 However, two students I met at school changed my mind about the takeaways and joys of being a pet owner. 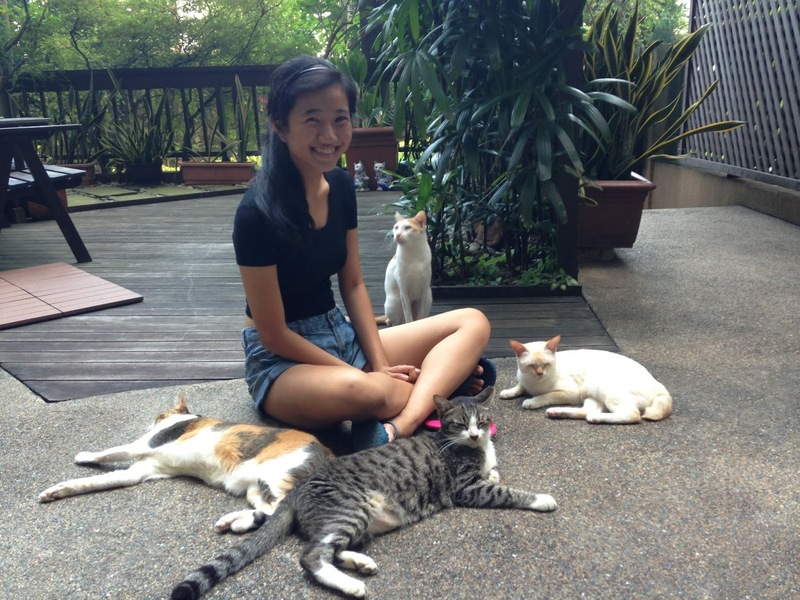 Meet Ashley Toh, 19, from the Diploma in Social Sciences (Social Work), an owner of not one, not two… but FIVE cats! Back To School Blues? Or Not! So the first semester did not go so well; you struggled with some modules, did not enjoy your group projects, student life, and were burned out at the end of the semester. Now that the long awaited semester break has come to an end, here are some tips on how to lead a more fulfilling semester! One of the highlights of 2015’s second semester for the campus would be the newly opened D’Studio. Not only is it spacious and aesthetically pleasing, it is also located at the heart of the campus (Block A, level 2), right next to Cheers. This mini shopping area offers a varied range of merchandise including fashion apparels for both genders, accessories, make-up products, electronics, sportswear and equipment, collectibles and NYP’s very own wearables and accessories. Be it for birthdays or even festive occasions like Christmas, the variety of merchandise sold might just make it the perfect place for you to get your gift shopping done! Here we have a range of different printed t-shirts sold at the price of $15. Almost everyone owns at least one printed t-shirt. It may be a souvenir you bought or a shirt with a great design, printed tees are amongst the most common apparels. Have a friend who always dons a printed tee to school? Drop by D’Studio and get him one more. It may not be anything extravagant or fanciful but at least you can be sure he will put it to good use. Not forgetting, the soft and light material is simply perfect for Singapore’s weather. From simple prints to vintage and grunge patterns, you’ll be sure to find something.